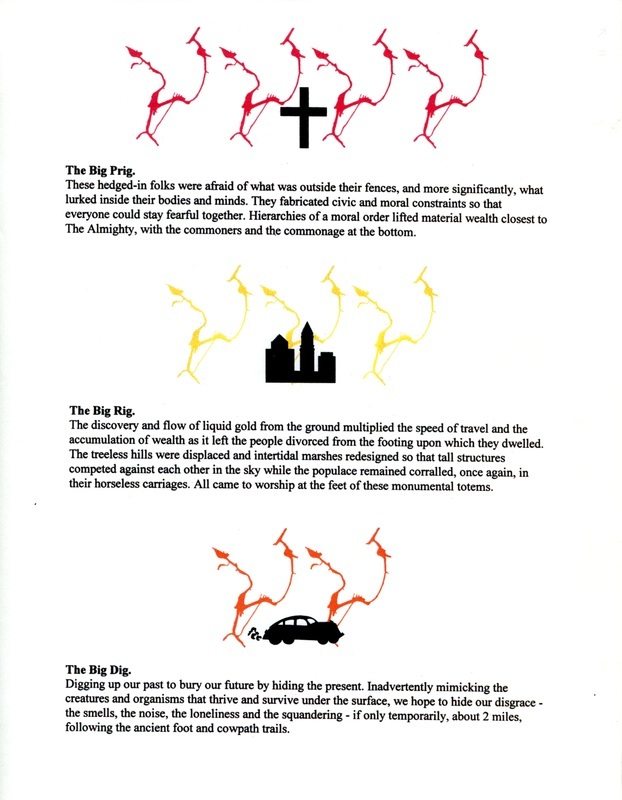 BIG TWIG TUNNEL TAPES, released by Jay Critchley, feature original field recordings from the $20 billion Boston highway project The Big Dig, recorded before tunnels opened to traffic. At its completion, Boston’s Big Dig—the Central Artery/Tunnel Project—was the most expensive public works project in the United States, its cost totaling $22 billion. But long before these numbers were finalized, Jay Critchley did the math. He determined that 12.5 million carbon-filtering trees would be required to mitigate the mega-highway’s annual 350,000 metric tons of pollution generated from 250,000 automobiles per day. He used these numbers to craft a public proposal of his own, the Big Twig. Inspired by the Big Dig’s branch-like footprint, Critchley proposed a new, holistic way of doing business: make pollution reduction and the environment a priority of public works projects. The Big Twig proposed the acquisition of land parcels throughout the impacted region; using original estimates, a minimum of 250,000 acres would be required to mitigate pollution levels. At $10,000 per acre, it would cost $25 million, .002 percent of the cost of the Big Dig. 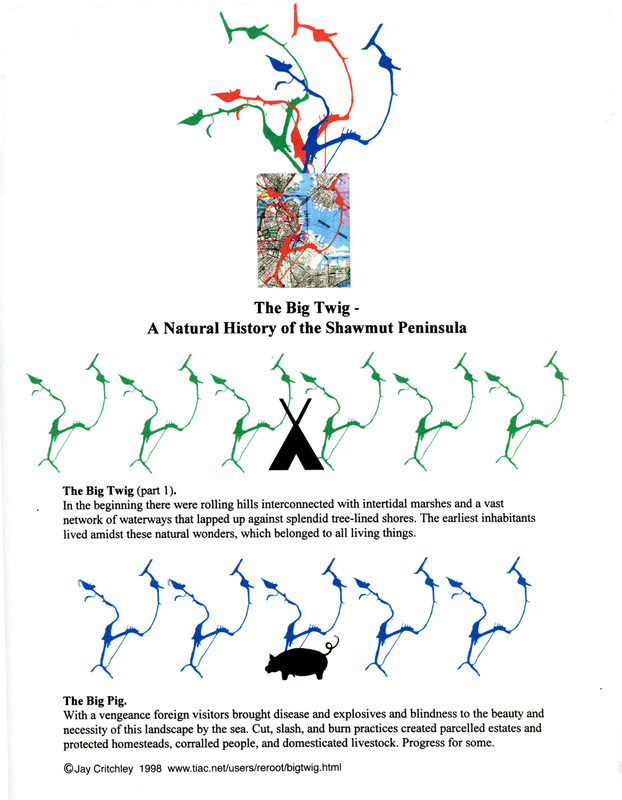 Big Twig received special citation awards from The Cooper-Hewitt-Smithsonian Museum and the University of Oregon. The opera, the ambient music, the viola solos, the throat singing, the rap music—“The Big Twig Tunnel Tapes” is a moving sample of the collective, human cry that’s rooted deep inside the earth. I’ve got tunnel vision, let the bombing go on! Sugar in my coffee and my SUV. - Excerpt of "Tunnel Vision"